You almost hate to see it end, arguably the greatest regular season in Bulls franchise history with Wednesday’s 97-92 win over the New Jersey Nets. 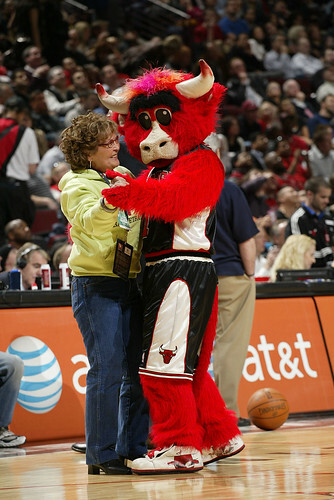 Greatest because there never has been one as successful and unexpected, the Bulls regarded preseason as perhaps no better than the league’s 10th best team and looking up at no one at the end. This after a summer of celebration for the Miami Heat, assurances of destiny for the Lakers and Celtics, of potential surprises in Orlando, Atlanta, Dallas, San Antonio, New Orleans and Utah. 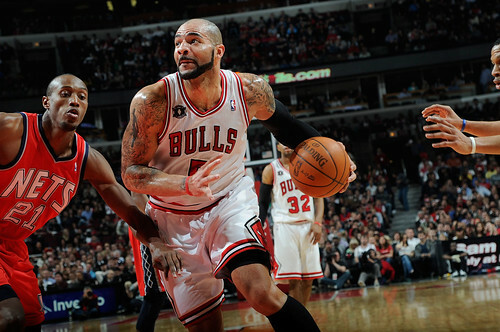 Yet, Wednesday’s win gave the Bulls the best record in the NBA at 62-20 with the Spurs’ late loss to the Suns. That guarantees home court advantage in every playoff round the team plays. 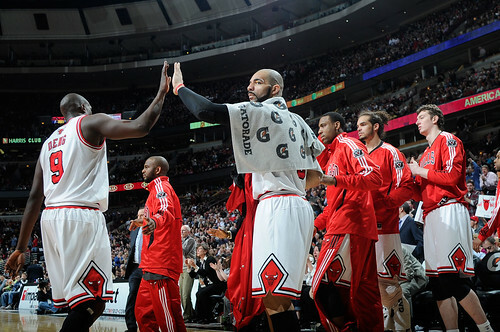 It is the sixth 60-win season in franchise history and East top seed, and each time the Bulls won the NBA championship. The Bulls close the season 24-4 since the All-Star break and the hottest team entering the playoffs with nine straight wins and a stunning 36-5 home record. Derrick Rose will easily win the NBA award with an historic season in which he averaged 25.0 points, 7.7 assists and 4.1 rebounds, joining the likes of Oscar Roberston, Jerry West, Larry Bird, Michael Jordan, Dwyane Wade and LeBron James with that level season. Tom Thibodeau likely will win the Coach of the Year award as in his first ever NBA head coaching season he ties the all-time record for rookie wins. 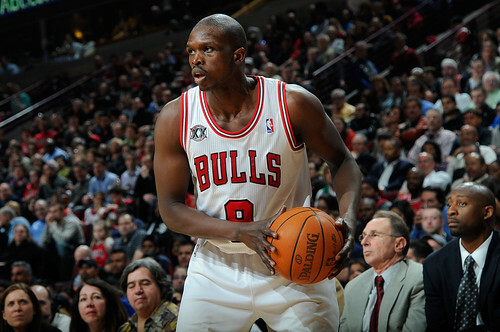 Though Carlos Boozer and Joakim Noah missed significant parts of the season, Luol Deng, Kyle Korver, C.J. Watson, Keith Bogans and Omer Asik played in all 82 games, and Derrick Rose and Ronnie Brewer with a sprained thumb Wednesday missed just one. 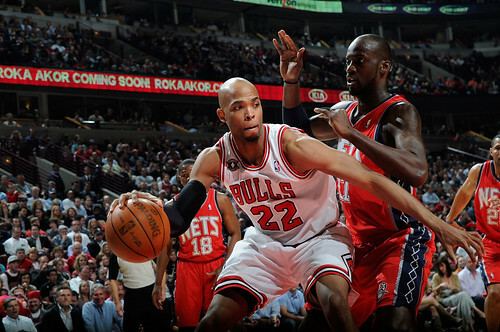 The Bulls led the league in winning margin by more than seven points per game, and the Bulls finished as the best rebounding team and No. 1 in field goal and three point defense, the best overall defensive team in the league. Just a wonderful journey with eight new players, 11 if you count the late season additions of Rasual Butler, who starred Wednesday with 10 points in 13 minutes as the Bulls overcame a six point deficit with 6:37 left, John Lucas III and Jannero Pargo. “The statement to me,” said Joakim Noah with 10 points and 10 rebounds for his first double/double in the last 10 games, “is D-Rose at the beginning of the year when he said, ‘Why can’t I be MVP?” I remember when he said it and people were laughing. Look at what he’s done. The same with this team. We were saying we felt we could compete against anybody, but they were saying they didn’t know if we could compete against the elite teams. There was no celebration in the Bulls locker room, if mainly because there was nothing to celebrate. Thibodeau termed it a “pretty good season.” Players answered questions without much boasting or promising and took off for late dinners. A 4:00 p.m. practice for Thursday was posted on the board. Time to go to work, or back to it. Rose circulated through the locker room handing out expensive Apple gift cards to each player, thanking them for their support and the season so far, much as the quarterbacks take the linemen out to dinner. 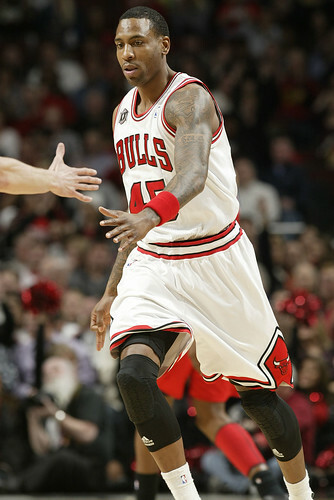 Rose got the plaudits, but he always credits his teammates for putting him forward. And Rose also knew this was just a step along what he and his teammates hope is a continuing long journey. “I’m happy, definitely happy,” said Rose. “What’s the point of celebrating now if you get knocked out of the playoffs? There’s no point of doing good in the regular season if you lose in the first round of the playoffs. There’s a big goal ahead of us and we’re trying to achieve it. 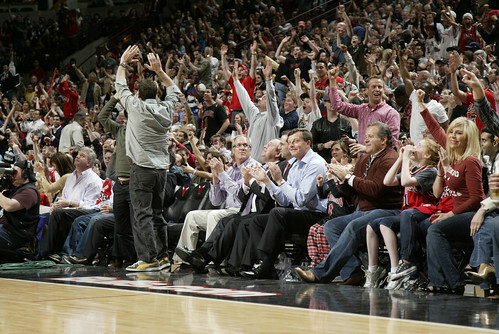 That begins noon Saturday in the United Center in the opening game of the 2011 NBA playoffs against Indiana. Which also tells you despite this marvelous season the NBA isn’t taking the Bulls serious yet. The Bulls always were the main national Sunday game in previous championship seasons. But the Heat Saturday and Lakers Sunday got the principal ABC-TV national games. 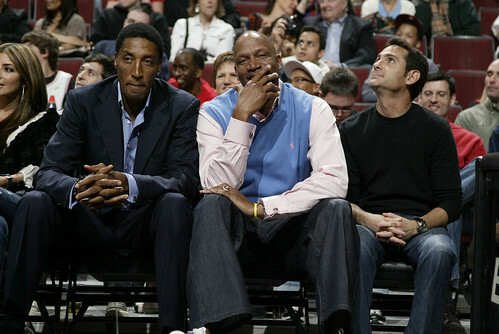 The Bulls never got the early first games. Also, I listened to the ESPN and NBA-TV playoff breakdowns after the Bulls win Wednesday night, and the general feeling was a Lakers/Celtics Finals (big surprise) and questions whether the Bulls could go very far given their youth and inexperience. 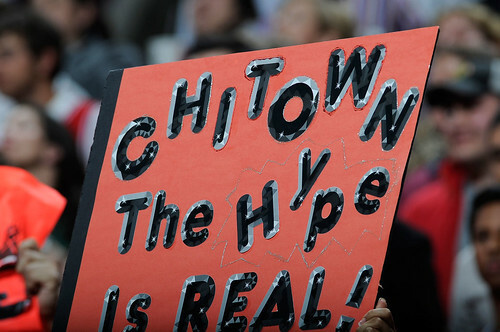 The NBA-TV crew even questioned whether the Bulls could win a first round series. Of course, the Pacers have as well, especially Danny Granger, who expressed relief to the Indianapolis Star earlier this week the Pacers were playing what he felt was the one-man Bulls and not the versatile Celtics. 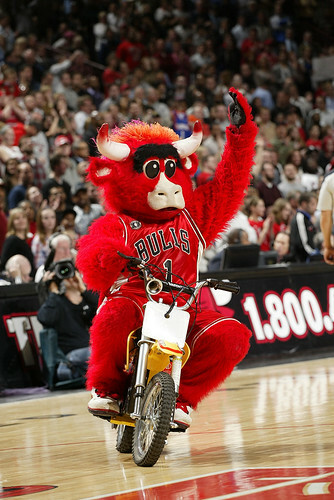 No one among the Bulls really was too excited about that (Thibodeau insisted he hadn’t heard the comments) given the Bulls 3-1 record over the Pacers this season, the final game an overtime loss in Indianapolis when the Bulls rallied from 20 points behind with 19 of Rose’s career high 42 points in the fourth quarter. The Pacers, meanwhile, have been fuming and screaming to the league about that fourth quarter, saying Rose received unwarranted superstar protection from the officials as Rose attempted a career most 21 free throws in the game. “He’s got to back it up now,” Deng said of Granger with a laugh. “I don’t think they’re going to shut down Derrick. I guess that’s their game plan. The comments made by one guy are not going to make a difference to what we are trying to do as a team. They’ve got their game plan and we have our game plan. The Pacers did finish 37-45, the poorest playoff record since the 2004 76ers, 25 games behind the Bulls. But the Pacers did win five of their last eight with lead scorer Granger sitting out in Wednesday’s loss to the Magic. They’ve incorporated Roy Hibbert and Tyler Hansbrough more since assistant Frank Vogel took over as coach and have steadily moved their defensive percentage down to seventh best in the NBA and to fifth best rebounding team. They are one of the higher scoring teams as well and will try to get the Bulls in a quicker paced game to challenge the Bulls’ ability to get scoring from others than Rose. 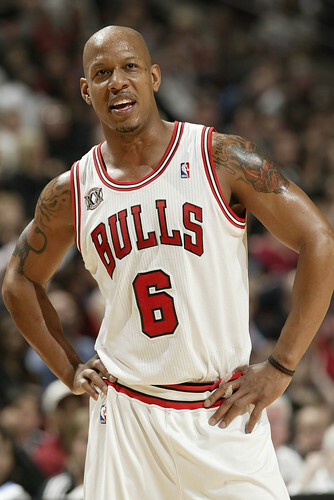 And whether Rose can take the physical assaults he’s likely to feel. “This is my first time in the league where teams are coming after us,” said Rose. “The approach is going to be different. The coaching staff will be ready. 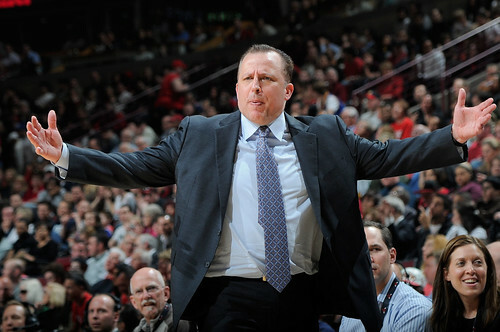 I have confidence because of Thibs. He’s been in championship situations. He’s my coach of the year. I’m ready. I’m a basketball player, a hooper. I can play through anything, especially in the playoffs. The final tuneup for all of this was with the lowly Nets, whom the Bulls gave life to and who almost pulled off an upset after the Bulls led by 13 midway through the second quarter. The Nets put a 15-0 run on the Bulls midway through the third quarter to turn a 58-53 Bulls lead into a surprising 68-58 Nets margin. I also think if the Bulls were going to lose, Thibodeau wanted to make sure it wasn’t the starters doing so. That was in reference to another knock for Noah, this time banging knees with Brook Lopez in the third quarter and leaving for the rest of the game and wearing a wrap on the bench. Noah has been slowed by a sprained ankle and a stop and go return from his thumb surgery, and he was answering questions about an injury again. 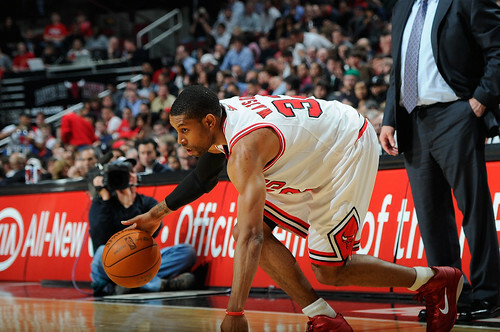 “I felt I was running the floor better, moving better,” said Noah. “I’m still a work in progress. I’m working hard, but I’m still not where I want to be. I’m hoping when the playoffs start the environment gets me going a little more. Not if he doesn’t have some 20-rebound games. Brewer sat out the game with his thumb sprained in Tuesday’s win in New York. He wore a sort of glove and it obviously was difficult still to move the way he held it gently. Brewer said he’ll play when the playoffs open and mentioned defense, steals, providing energy. He didn’t mention anything about shooting, and though the injury is to his left hand, players need that second, guide hand and I’d be surprised to see Brewer shooting much for awhile. 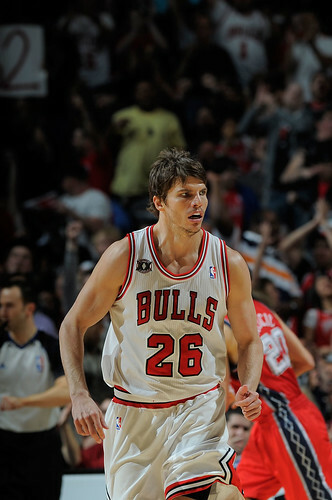 Also, Kyle Korver had one of his best games of the season with 19 points, 10 in the fourth quarter. His three tied the game at 84 with 4:29 left, and then Butler had a postup turnaround jumper for an 86-84 lead and a big three with 46.1 seconds left to retake the lead for the Bulls. Thibodeau said he had no plans to change his rotation for the playoffs, which meant Butler likely would not play. The Bulls need to present their 12-man active roster for Game 1 on Thursday, though they can change that game to game, perhaps depending on Brewer’s health. But the Bulls also want to take a look at a shooter like Butler in case of a restrictive new labor agreement and an inability to go after a major shooting guard. Butler with his size and stroke looked pretty good. 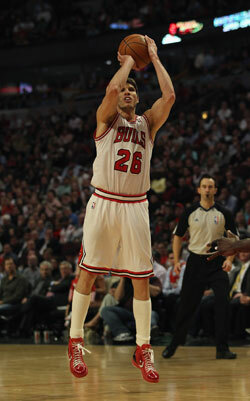 Thomas then blocked a Brook Lopez drive after a timeout and the Bulls closed it out with free throws. Earlier, Korver hit Taj Gibson on Korver’s excellent side pick and roll play and had a key strip on Sasha Vujacic with the Bulls hanging onto that 92-90 lead. Korver has proven an underrated defensive player who makes up for a lack of quickness with good position play and always works hard to close. It’s that kind of effort that Thibodeau reiterated will be needed starting Saturday. And the Bulls did show a lot of it with a 30-9 edge in second chance points, nine blocks (four by Noah and three by Thomas and even one by Korver) and a plus 10 edge in rebounding. That also was thanks to another terrific defensive effort from Deng, who was crucial in the Bulls building that early lead. His defense, if not flashy, is marvelously effective, like on one second quarter player when he showed over a screen but was still able to get back fast enough to intercept a good pick and roll pass. We’ve long screamed Deng isn’t athletic, but he makes plays on defense with hustle and intelligence. But the Bulls know it’s more than outside respect. “The best record doesn’t help you win a basketball game,” said Noah. “We have to go with the mindset of being on edge for 48 minutes. Understand it will be tough. There will be good times, hard times. And through it all we’ve got to stick together. We realize we can do something special. It doesn’t matter what people think. Even though we’re No. 1, we’re still going to have that underdog mentality.